Futurebuild has announced it will partner with the Considerate Constructors Scheme (CCS) again this year, reinforcing the event’s position as the most considerate in the built environment sector. Futurebuild has confirmed that it will use the Scheme’s Code of Considerate Practice for the second year running, as part of its commitment to achieving the highest possible standards of sustainability, respectfulness, inclusivity and diversity across conference and seminar speaker panels. CCS’s involvement in the event will also go a step further for 2019, as it will deliver a series of workshops in the Knowledge Forum focusing on mental health, wellbeing, skills and diversity, and the fantastic resources available through the Scheme to both built environment professionals and the general public. 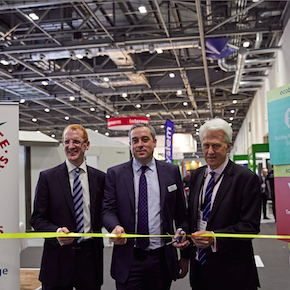 Martin Hurn, Managing Director of Futurebuild Events, comments: “The CCS’s fundamental values represent everything we work hard to promote and the work we did with CCS at last year’s event really laid a solid foundation ahead of this year’s Futurebuild.